The arrival of warmer days always reminds me of waking up from hibernation. No more mornings stumbling around in the dark or trying to wake up with the use of gallons of coffee. The sun is up and the day has that smell of excitement. Instead of avoiding that tedious weekly morning ritual for as long as possible I'm up and dressed in a matter of minutes. A quick shower and into some form of lightweight dress and I'm done. As the days warm up skincare quickly takes over from make-up for me. I've always been a lover of that fresh faced, low maintenance Parisian look rather than a full perfect face. A good cleanse and moisturise is important all year round, however if you're only planning a sun kissed glow with a dash of mascara it's even more important to find those perfect products. I'm a strong believer in a skincare routine not being a hassle and as you get older you discover those forever products that you stock up on time and again. 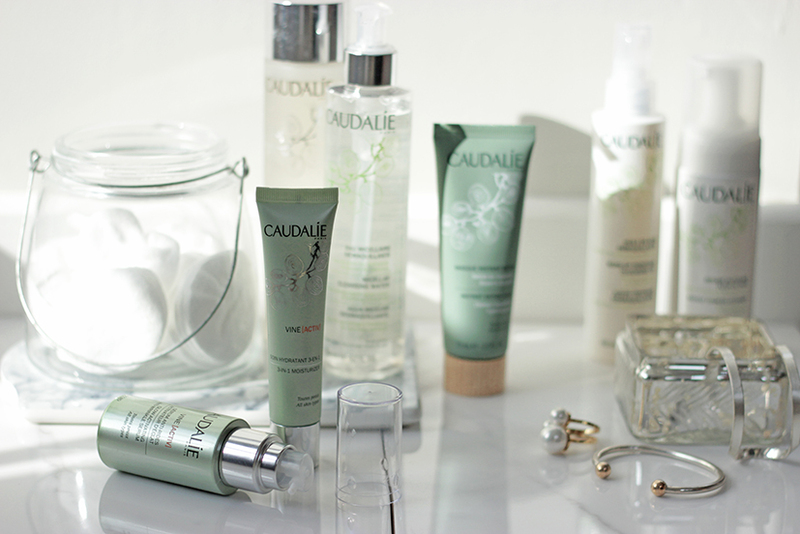 Several of my go to's have always been from French beauty brand Caudalie. I have lost track of how many people I have recommended their Beauty Elixir to, always with glowing reviews following. I have a mini in my handbag at all time. However there were lots of the brands products that I hadn't tried and until recently were kind of tricky to get hold of. Then gorgeous luxury beauty box brand Latest in Beauty launched a huge selection of their products to pop into your build your own boxes! Fantastic. Over the past few weeks I've been only using Caudalie for my skincare routine and my face has never looked or smelt so good. I didn't try anything that I didn't fall in love with. This is so unusual with a beauty brand who usually have one or two hero products. Every product smelt divine. I tried three of their cleansing products which can be mixed together or used alone to remove grime and dirt. One of my favourite items which I definitely didn't expect to love as much as I did was the Foaming Cleanser. I ended up keeping this in the shower and a pump or two of this in the morning is so refreshing. They have a cleanser for everyone with a great micellar water and lightweight hydrating cleansing oil. You can't beat a micellar water for a speedy routine after a long day. The other products I fell in love with are the Vine Activ glow activating serum and moisturiser. I've been feeling under the weather for some time now and this has been reflected in my skin. These products have plumped and bought life back to my skin. I am stocking up! If you haven't come across Latest in Beauty's stunning treats then hop over to their pretty site. 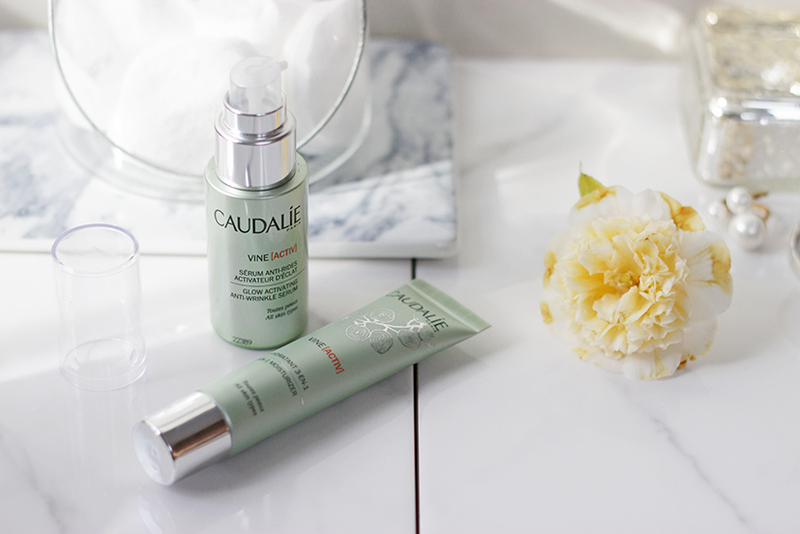 You choose exactly what you want to try in your box from an inspiring edit of the best beauty products around including from Caudalie. What better way to test out these skin saviours? Love the foaming cleanser too!